There are loads of blog posts about how to cope with attending a conference if you’re an introvert – just search for ‘introvert conference’ and you’ll find lots of bedtime reading. We’ve had a look through some of those blog posts, relived our own introvert experiences and racked our own brains to put together this networking guide for introverts: surviving the SfEP conference – this year’s is fast approaching and preparation can be the key for those of us who find large work and social occasions a somewhat overwhelming prospect. It’s a characteristic/personality label that some people adopt. One description doesn’t fit all. The common contemporary definition is someone who gets energy from within rather than from other people. 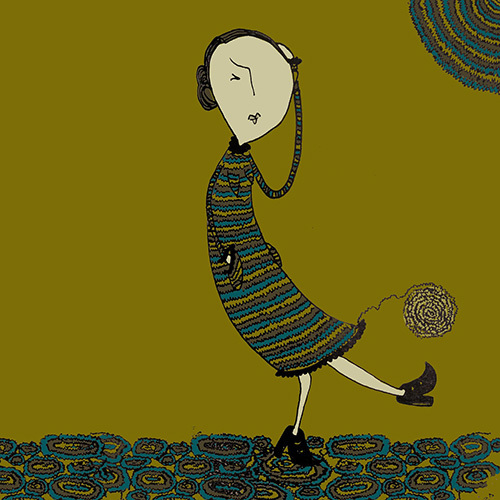 It does not equate to shyness, though some introverts are also shy. Extroverts can find conferences overwhelming too – they’re intense events. Meeting new people and having to make conversation with strangers can be intimidating for anyone. Somewhere between a third and a half of the general population. Probably more than that among editors and proofreaders, particularly those of us who have opted for the freelance lifestyle. Why would an introvert want to go to the SfEP conference? For the same reasons as extroverts – to learn new skills, to be inspired, to hear about the latest developments in publishing and, yes, to meet other editors and proofreaders. Where else can you laugh with someone who understands about having to remove double spaces after full stops after the revisions have come back from the author for the third time? Think about what you want to get from the conference – and how you’re going to get it. See who else is attending and if there are one, two, three people in particular you’d like to talk to, or at least make an initial connection with. Perhaps you’ve read their blog or been helped by their advice on the SfEP forums. Maybe you’ve seen their pithy comments on Facebook editorial discussions and just think you’d get on with them. Pre-break the ice. Make contact with those people in advance – the groundwork can be done in a thought-out email rather than having to do a big face-to-face introduction. Research the speakers and their topics to give you conversation starters. Think about how you may answer those questions. Watch Susan Cain’s TED Talk about the power of introverts. Look at the schedule – where are you going to slot in the wind-down time? Are there sessions you may be able to miss if you need a break? Think about what kind of things will make the conference more stressful. Sharing a taxi with strangers? Not knowing anyone on your table at dinnertime? Do what preparation you can to lessen those stresses – make contacts, budget for a taxi on your own. Take things with you that help you feel comfortable – fluffy slippers, a new notebook, a photo of your dog, something that reminds you of home or another happy place. Stick to your normal morning routine, as much as you can. Bring your own teabags or coffee, or whatever you need for you to start the day in the normal way. The main thing is to make the conference work for you. Before walking into a social situation or a session, stand tall, roll your shoulders back and take a deep breath (or several) – do the power pose. Make time for breaks – in whatever form recharges you. Sit in the sun, read a book, go for a walk. Use your downtime to consolidate what you have learnt so far and plan for what’s coming next. Or just stare at a wall. It’s okay to go off on your own, or to stare at a wall. Be who you are – there is no ideal conference attendee mould that you have to fit into. It’s okay to be a quiet participant. Listen. Say only as much as you are comfortable saying. There is no minimum or maximum contribution. Recharge during a session (not necessarily dozing off…). Arrive just before a session is about to start, don’t sit too close to the front, Tweet. Ask someone you know to introduce you to someone else. Preserve your energy for when you need it most – some sessions are more important than others. If you’ve had enough, miss a session. You can always track down the speaker’s notes or slides later, or (gasp) ask another attendee about the main points covered. Use your skills to your advantage – listen, think, listen, ask perceptive questions, listen, ask why and listen carefully to the response. Don’t talk to everyone – you don’t have to and it’ll just wear you out. 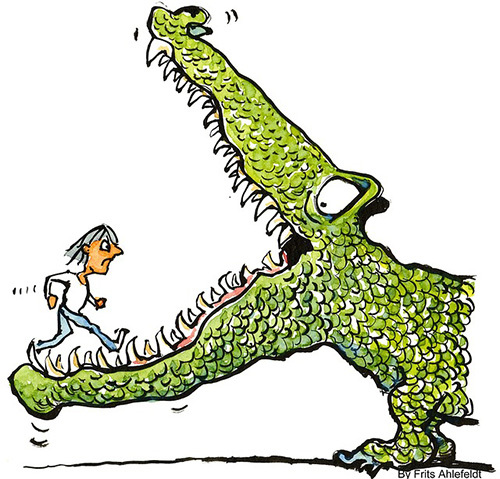 Don’t wear new shoes – sore feet can be really distracting. Don’t fixate on what you’ve said or done afterwards. You might be mortified that you got that person’s name wrong or forgot you’d met before, but they probably took it in their stride. They might even be worrying about having done the same thing. Schedule some downtime in the following week. Plan some time to go through your notes and decide on some action points (not just for introverts). Make plans to go again next year – each time you’ll know more people, you’ll know the way things work, you’ll be a bit more comfortable. Get in touch with anyone you wanted to talk to at the conference but didn’t have time to. Let us know if you have any other good tips for surviving ‘big events’. Abi Saffrey, Julia Sandford-Cooke and Melanie Thompson are all introverts and will be at this year’s SfEP conference. Don’t be offended if they want to be alone. 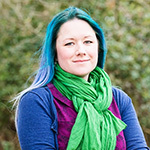 Abi Saffrey is an advanced professional member of the SfEP. 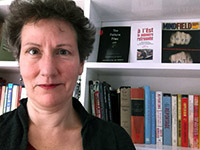 She specialises in copy-editing and proofreading economics and social policy content, and anything within the wider social sciences realm. 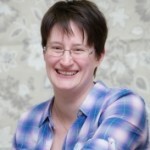 Abi is a social introvert with two young children, and slight addictions to bootcamps and tea. Should introverts go to conferences? This entry was posted in Conference, Events and tagged advice, conference, networking on June 28, 2016 by Abi Saffrey. I feel a deep affinity with this approach. I have spent the greater part of my life thinking about what it means to improve texts; first as a practitioner, then as an academic. When I started a PhD to go with this new career, about 10 years ago, I wanted to choose a subject that connected these two different lives. And I chose editing in particular because – like other behind-the-scenes work – it is mostly invisible; a hidden art. It would be interesting to bring it more fully into view. Right from the start, my instinct was to look at the subject in the round. The analysis had to be comparative; it had to take the long view, and it had to include the insights of practitioners. The comparative aspect is crucial, because we already know how the different kinds of editorial work are different; why not ask how they might be similar? It teases out the shared concerns of different kinds of editors. It gives a rough shape of a possible ‘best practice’. It underlines the extent to which good communication is hard; and so the extent to which people need help. The second book is based on the idea that to bring this invisible practice into full view, we need not just description and definition, but also a really good theory. We think of ‘theory’ as something high-minded and abstract, but it can and does affect everyday life. Compared to other cultural practices, publishing is very under-theorised. And this can end up undermining its value or status. The reason is that people need a framework in which they can fit random discoveries; otherwise the things they encounter are not fully noticed or remembered. So, one needs a theory, but the type of theory makes a difference to visibility as well. Until now, the theorisation of editing often comes under the heading of ‘social constructivism’ and often uses the language of ‘gatekeeping’. This is a useful metaphor, but it can struggle to fit all sizes. And it sometimes makes too many assumptions about its subject. The assumption in the case of editing is usually that the ‘gatekeeper’ is always bad, and is always found only in whatever part of the media that the researcher does not like. That is why I feel there is a need to define principles for textual work that make more allowances for the messiness of human practice. This entry was posted in Conference and tagged academic, conference, editing, editors on June 21, 2016 by Abi Saffrey. If you’re a new entrant to the field of editorial freelancing, and you’re attending this year’s SfEP conference in Aston, I hope you’ll join me and my co-presenters Liz Jones and Sue Littleford at our speed start-up session: Things newbies need to know. Together, we’ll be rattling through some top tips to help you with three pillars of editorial business building: finance, pricing editorial work, and marketing. I’ll be handling the marketing section. I know that business promotion gives many newbies the heebie-jeebies, and so, with that in mind, I’ve based the presentation around the questions that I’ve been asked most frequently by anxious marketers-to-be. In this way, I hope the session will be as much about what I think you should know as what you think you want to know! I want the session to be as accessible as possible, so I’m throwing in a couple of promises, too – there’ll be no marketing jargon and you needn’t have any prior experience of business promotion whatsoever. It’ll just be me talking to you – one editorial freelancer to another. If you hear me utter words such as ‘utility’, ‘drill down’, ‘marginal’ or ‘basis of segmentation’, you have permission to throw things at me! So what are those frequently asked questions? What is marketing? I don’t have a clue where to start! What do I say? How do I structure my marketing message? What promotional tools or activities work best? How do I get noticed and stand out from the crowd? Should I promote myself as a generalist or a specialist? 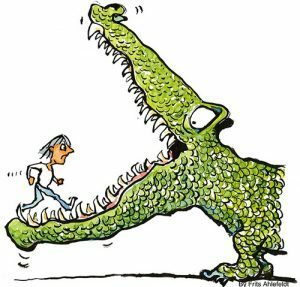 How do I combat my marketing nerves? Using those questions as my guide, I’ll provide you with one definition and five frameworks to banish those heebie-jeebies and provide you with a structured way of developing your editorial marketing strategy with confidence and even, I hope, a little excitement. There’ll be a handout, too, that includes a summary of what’s been discussed and a list of useful additional resources to help you on your editorial marketing journey, including the latest combined edition of my business books, Omnibus: Editorial Business Planning & Marketing Plus (all conference attendees will be entitled to a one-off 20% discount voucher for use against a purchase of the PDF). Based in the heart of the Norfolk Broads, Louise Harnby is a professional proofreader with 24 years’ publishing experience. An Advanced Professional Member of the Society for Editors and Proofreaders (SfEP), she specializes in providing proofreading solutions for clients working in the social sciences, humanities, fiction and commercial non-fiction. Her customers include publishers, project management agencies, professional institutions and independent writers. Louise is the curator of The Proofreader’s Parlour and the author of Business Planning for Editorial Freelancers, Marketing Your Editing & Proofreading Business, and Omnibus: Editorial Business Planning & Marketing Plus. 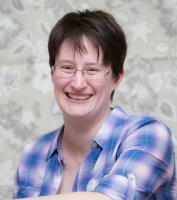 Visit her business website at Louise Harnby | Proofreader, follow her on Twitter at @LouiseHarnby, or connect via Facebook and LinkedIn. This entry was posted in Getting started, Marketing and tagged finding work, marketing, promotion on June 16, 2016 by marketingpr. After gaining employment as an editorial assistant I investigated options for training and career development, and my research immediately led me to the SfEP. I was impressed by the range of training opportunities and advice available, and applied for membership straight away. I have benefited from the advice provided on the website (especially the forum and blog), and wanted to contribute something myself. But as I’m just starting out in my new career I have little editorial experience to share and I can be best described as a ‘newbie’. 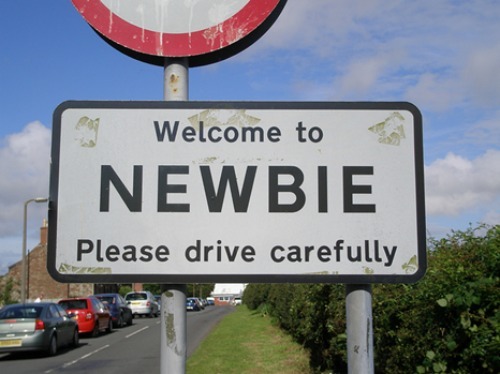 The Cambridge English Dictionary defines a newbie as someone who has just started doing an activity, a job etc. Starting a new career can be daunting. But being a newbie should be viewed positively as an opportunity to learn something new, and I have learnt so much during my first year of SfEP membership. I have completed the ’Proofreading 1’ and ‘Copy-editing 1’ courses via distance learning, and I would highly recommend them as a starting point for anyone considering a career in editing or proofreading. I’m currently studying ‘Proofreading 2: Progress’, where your work is assessed by your tutor (an unnerving prospect for this newbie). Signing up for the mentoring programme will be equally daunting. But progress requires constructive feedback and I am looking forward to what I will learn from these courses and what new opportunities they may bring. I am also grateful for the networking opportunities that membership has provided, and I have benefited greatly from the knowledge and experience that has been shared by other members. A number of networking opportunities are available and, regardless of your circumstances, newbies can find a convenient way to meet other members. The SfEP has pages on LinkedIn, Facebook and Twitter, and those keen to meet in person can also join a local group (a Skype group is available for international members). I attended my first meeting with the East Midlands group, where experienced members shared valuable advice and made me feel very welcome. New members are also encouraged to attend the annual conference, although I appreciate that this can be a daunting prospect when you don’t know anyone yet (see recent blogs by Karen and Katherine). To aid my professional development I applied for the position of SfEP blog coordinator and was thrilled when I was offered the role. We have a number of great blog pieces written by experienced editors which will be published over the coming months, and we would love to hear from anyone else who would like to write for us. The blog covers any topics relevant to editors including freelance business advice, editing tips, guidance on using new software, sharing insight into your specialist area and anything else you think may be of interest to members. See 10 tips for your first proofreading job by John Espirian which will be of interest to new members. I would also like to invite other newbies to write for the blog and share their experiences as they progress in their new career. No one ever said that starting a new career would be easy, but training and sound advice goes a long way to making this experience easier. This is what membership of the SfEP provides. As the new blog coordinator I look forward to sharing the thoughts and experiences of other members, both long-standing and new. If you are interested in writing for the blog or have any feedback please get in touch blog@sfep.org.uk. 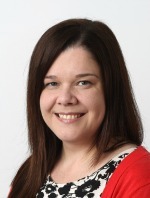 Tracey Roberts recently graduated with an MSc in Neuroscience and is an Entry-Level member of the SfEP. She currently works as editorial assistant for the Cochrane Schizophrenia Group based in Nottingham and is the SfEP blog coordinator. This entry was posted in Getting started, Local groups, Professional development, SfEP membership, Training and tagged editing, networking, proofreading, SfEP, training on June 13, 2016 by Abi Saffrey. Unsurprisingly, new members of the SfEP often have many questions about how to handle that first proofreading job. What are the tips and tricks to getting started with an initial piece of paid work? Are there any pitfalls to avoid? How much should you charge? This post sets out 10 tips to help new proofreaders. Follow them and you’ll be much more confident when working for your first client. Let’s start by creating a scenario for a typical proofreading job. You’ve been contacted by a prospective client who wants you to proofread an article. It’s a 60,000-word document and you know something about the subject matter, but you’re not an expert. The client hasn’t worked with a proofreader before and would like to know how much the job will cost. Now, let’s look at 10 tips to help you get through this first job. Ready? 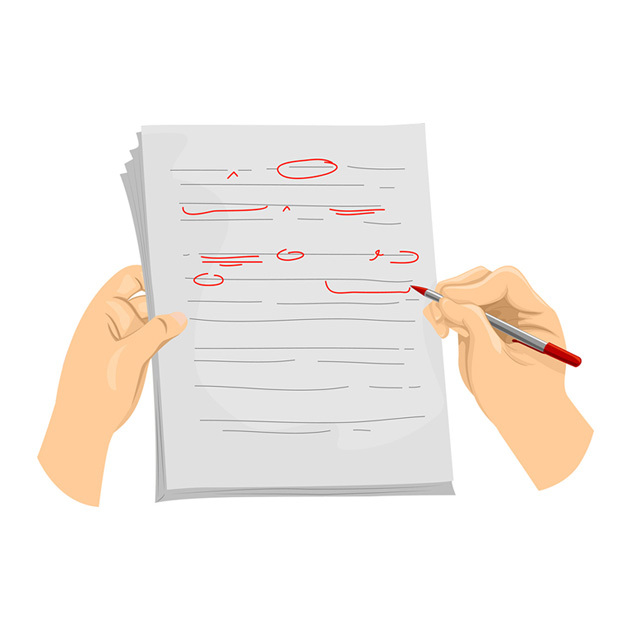 The ‘brief’ is what the client has asked you to do – in this case, it’s proofreading their article, but you don’t yet have any further details about what ‘proofreading’ means to the client. Clarifying the brief means you should ensure that your understanding of ‘proofreading’ matches the client’s, especially if the client isn’t a publishing professional or hasn’t paid for editorial services before. Working to the brief is really important but even more important is understanding what the brief is in the first place. If your expectations don’t match the client’s, the end result isn’t going to be right. So you need to ensure that the requirements are crystal clear. Is there a style guide to work from? Are there any references to deal with? Is it just text or are there figures, tables and illustrations? The brief is important because it helps you work out how much time the job is likely to take. This knowledge should help you quote a price that reflects the effort required to complete the work to an acceptable standard. Find out the history of the work, e.g. has it been copy-edited to SfEP standard? Or are you the first professional to get their hands on it? If the client is not happy with previous work, find out what hasn’t worked for them. OK, you’ve clarified the brief and now know what the client wants. You might be able to do everything that’s required, but what if the source text needs a lot of work? You won’t know until the job starts, right? Wrong. You need to know what state the text is in before you start the job. But how can you find this out? The answer is to ask for a representative sample of the work. In this case, you would want to see at least a few thousand words (aim for 5–10% of the total), ideally taken from somewhere in the middle of the content. Why? Because authors will often polish the start and end of their writing, so seeing these parts might not give you a proper flavour of the rest of the work. Getting hold of a representative sample will give an indication of how much effort is required to do the job. Perhaps you’ll discover that the text isn’t even ready for proofreading. Although you’re understandably eager to get going with your first job, the sample may reveal that this particular piece of work isn’t right for you. Should that be the case, it’s best to tell the client straight away. Once you know what the client is expecting and you’ve assessed a sample of the text, it’s time to think about how much to charge. A lot of newbie proofreaders freeze at this point. They have moments of self-doubt, wondering whether they can really charge anything for their services. Perhaps it would be better to do the job for nothing? Although some established professionals support the idea of early work being done at a very low rate (or even for free), most would advise new proofreaders to charge a normal, respectable figure. So, what is that figure? We usually advise members to look at the suggested minimum rates published on the SfEP website. These hourly figures give an idea of a good minimum amount to aim for. But that then poses another question: how many hours will the job take? How long is the text? How complex is the subject matter? The answers to these questions will give you an idea of how much effort is required and therefore how much you should charge. Now, think again about the scenario involving the 60,000-word article. Imagine that you’ve seen a representative sample. It’s good news: the text is brilliantly written and the subject matter turns out not to be as complex as you first thought. You think you can read and correct the rest of the text pretty quickly. You guess that a pace of 4000 words per hour might be achievable. At that rate, you’d need to work for 15 hours to do the job. Most proofreaders struggle to put in more than 6 hours of work per day. (Proofreading requires a lot of concentration and can be very tiring.) This means that the job would take the equivalent of 2.5 days. At the current suggested minimum rates for proofreading, this job might cost the client around £350. Remember, this is a minimum suggested figure for a piece of text that you’ve assessed as being in great shape already. But what if the text is a real mess? Horror of horrors, the client hands over a sample that’s hard to understand and is full of mistakes and inconsistencies. Perhaps you’ll scarcely be able to wade through 1000 words of this per hour. Unlike your dream job above that would take a mere 15 hours, this scenario would have you labouring for close to 60 hours – effectively a full week plus overtime, equating to a quote around the £1300 mark. And yes, that’s a minimum suggested figure. OK, there are two extremes here, but the point is that not all quotes are going to work out the same way. Assessing a sample of the text will let you produce a quote that is in the right part of the spectrum. If the client is potentially going to give you more work, or recommend you to others, I would be wary of setting a low rate. Quote a reasonable hourly rate, based on the time that would be expected of a more experienced editor, and then work the hours necessary for you to do a good job – yes, it’ll probably take a lot longer and therefore work out at a very poor rate, but that’s not relevant to the client. If you start at a low rate, you may end up working for that rate for a lot longer than you think. Also, quoting low does not necessarily mean you’ll land the job – it may well set off red flags in a client’s mind as to why you are so much lower than other quotes they’ve had. Experienced editorial professionals are often able to take on rush jobs, and can sometimes charge a premium for doing so. This isn’t recommended for those who are starting out, so you need to be sure that you really will have the time to get through the job. As Tina says above, your time estimate might not be long enough, so pushing out the deadline as much as possible would be helpful. Once you’ve agreed a deadline, do your best to stick to it. Should you realise that the agreed deadline is not achievable, inform the client as soon as possible. Check all files as soon as you receive them. Don’t wait until you want to start work, because by that time any problems, such as corrupted files or failed attachments, will wreck your schedule. And back up your work. Make yourself a checklist of jobs to do. Add to it anything you think of as you’re going along. Remember to check off against the checklist! If you try to focus on every aspect of the text at the same time, you’ll almost certainly miss something. It’s far better to break up the job into separate passes, helping you focus on one thing at a time. Only when you have checked all these off on your list is it time to start reading. As above, asking whether there’s an existing style guide should be something you do when assessing the job. But even if a style guide exists, it probably won’t cover everything you come across as you work on the job. Keep notes about decisions made during the job and then refer back to them. Naturally, this is even more important when there’s no style guide to start with. If you’ve clarified the brief well enough, you shouldn’t have too many queries at the start of the job. But questions will often crop up once the work gets going. Naturally, you’ll be eager to find out the answers but you should avoid peppering the client with lots of emails. Don’t be afraid to ask, but try and keep questions to a list in one email rather than panicking and sending them willy-nilly! Remember that your questions should always be relevant to the current job. The SfEP’s online discussion forums, which are available only to members of the Society, are the best place to ask questions and hear the thoughts of other editorial professionals. The forums have hosted more than 100,000 posts since their release in late 2012 – a clear sign of a highly engaged community. If you’re already a SfEP member, you can register for the forums here. And if you aren’t a member of the Society, take a look at the frequently asked questions on the SfEP website. You might even consider joining us. Clarify the brief – make sure you know what the client wants. Ask for a representative sample – assess the job by reviewing a chunk of the text. Think about the complexity of the job – how much time and effort will be needed? Agree a deadline – set a realistic timescale and do your best to stick to it. Create a checklist – note all the jobs you need to do and check them off as you go. Break up the job into separate passes – make sure you don’t miss any tasks. Keep your own notes – supplement the style guide or create your own if one doesn’t exist. Ask questions – group queries so that you don’t pepper the client with emails. Use SfEP forums – ask for help from hundreds of experienced members. Wow, that’s a lot of advice! I hope these tips give you enough information to get started with confidence, and I wish you the best of luck with your editorial career. If you have any of your own newbie tips to share, please add a comment below. John Espirian (@espirian) is the SfEP’s internet director and principal forum administrator. As a freelance technical writer, John specialises in producing online help content that’s actually helpful. This entry was posted in Getting started on June 10, 2016 by admin. 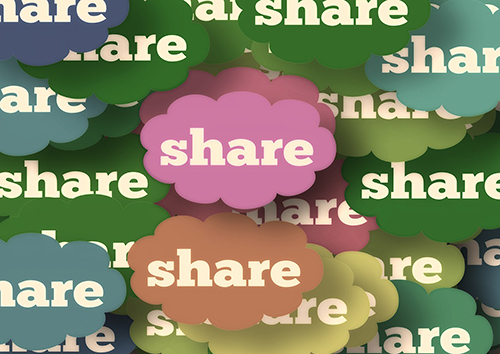 In case you missed them, here are some of the most popular links shared across the SfEP’s social media channels (Facebook, Twitter and LinkedIn) in May. Posted by Tracey Roberts, SfEP blog coordinator. This entry was posted in News, Round-up and tagged Facebook, LinkedIn, SfEP, social media, Twitter on June 6, 2016 by Abi Saffrey. Editorial project management: what, who, how? An editorial project manager (PM) can have a lot of control over how a book turns out. As such, project management can be a rewarding and enjoyable way for experienced copy-editors and proofreaders to expand their editorial horizons. For less experienced copy-editors and proofreaders, it can be beneficial to have an understanding of everything that PMs juggle when working on a project. But what does project management involve, who does it, and how does a copy-editor or proofreader get started on the path towards working as a PM? In publishing, project management refers to the tasks involved in overseeing the journey of a manuscript from the end of the writing process to printing and/or electronic publication. However, within that broad definition, there is great variety in what a PM might be asked to do. Tasks may include some or all of the following. approving invoices and making other financial arrangements. problem solving – both by anticipating issues and fixing unexpected blips. Traditionally, project management was almost entirely carried out in house. However, changes in the publishing industry mean these tasks are now sometimes sent out to freelancers and other entities. Other changes have led to entirely new roles being carved out. In-house person: Some publishers still keep all project management tasks in house. Others might keep certain aspects (e.g. creating a typespec or design; sourcing permissions) in-house and engage an external PM to manage copy-editing, typesetting, proofreading, and indexing. Freelance project manager: A freelance PM may be briefed by an in-house editor to do some or all of the tasks above. The PM may work with a high degree of independence or may work closely with the in-house contact, who may be managing other aspects of the project simultaneously (see previous point). A freelance PM may also be the copy-editor, proofreader, or typesetter of a project. Packager: Often a typesetting company, a packager usually manages large numbers of titles for publishers, often fairly independently after an initial workflow has been agreed. 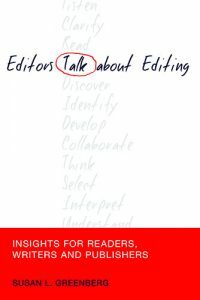 Copy-editors and proofreaders: Increasingly, copy-editors and proofreaders who work with self-publishers are finding themselves doing – or deliberately setting out to do – tasks reserved to PMs in more traditional publishing workflows, even if they’re not providing a full project management service. For example, they may do the copy-editing themselves and then arrange for proofreading. Alternatively, independent authors often want an editor who can provide a whole package of services, right up to uploading the final files and helping with details such as Amazon author pages. Becoming a PM requires a lot of experience and knowledge, and excellent organisational skills. 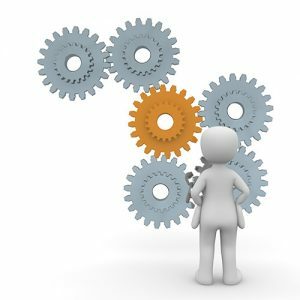 While publishers who hire PMs will almost certainly have their own comprehensive workflow documents for you to follow, it’s still important to have sufficiently broad experience and training to enable you to properly plan a project and manage issues as they arise; as the above list of tasks implies, project management is a lot more than following a checklist. Butcher’s Copy-Editing (UK-oriented) and the Chicago Manual of Style (US-oriented) both contain a great deal of general information on readying a manuscript for publication. In terms of training, the Publishing Training Centre (PTC) runs courses on digital project management and editorial project management, and these can help to boost confidence in one’s skills. You can also get training in Agile and PRINCE2 qualifications (not specific to editorial work but recommended by editorial PMs Emily Gibson and Zoe Smith). There is no single way to find project management work, just as there is no single way to find copy-editing or proofreading work. Advertising in the SfEP Directory or another professional directory may lead to clients finding you, though many PMs seem to enter the field via a chance encounter or incrementally through offering additional services to existing clients. Experience in house isn’t essential, but it does seem to be common. Project management work can be rewarding in terms of the breadth and depth of involvement it allows. And, even if you don’t aim to offer a full project management service, it’s still beneficial to be aware of what it involves. Hazel Bird is a project manager and copy-editor who handles over 5 million words per year, mainly in the academic humanities and social sciences. She started out managing encyclopaedias at Elsevier and went freelance in 2009. When she’s not editing, she is generally roaming the Mendips or poring over genealogical documents. This entry was posted in Professional development, Specialisms and tagged professional development, project management on June 1, 2016 by marketingpr.